Bloomington, Indiana is for cyclists, but runners are also welcomed with open arms. I have a very special place in my heart for Bloomington, or B-Town as the locals call it, and I’ll explain why here in a bit. 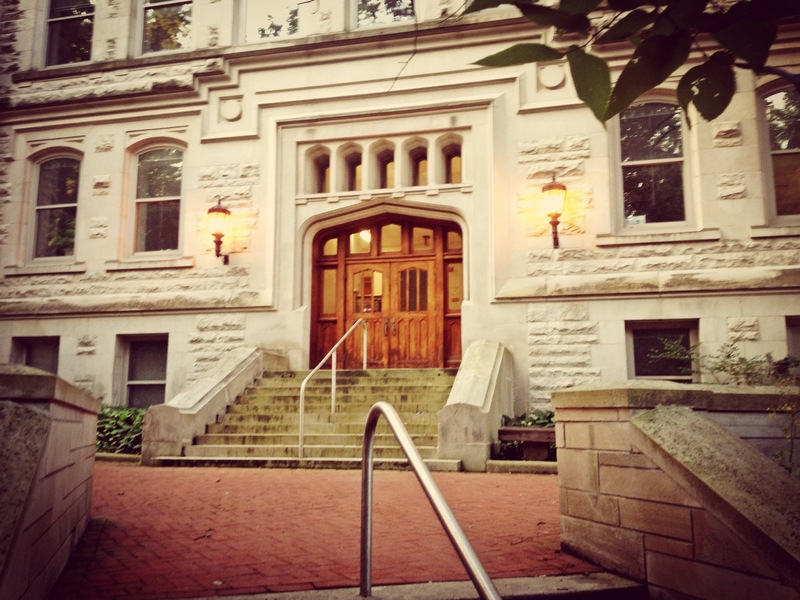 Indiana University makes its home in Bloomington, and I’ll publicly state that IU’s campus is my favorite Big 10 campus. Now, I still need to get to a few, but I’m confident saying that Bloomington has a ton to offer. 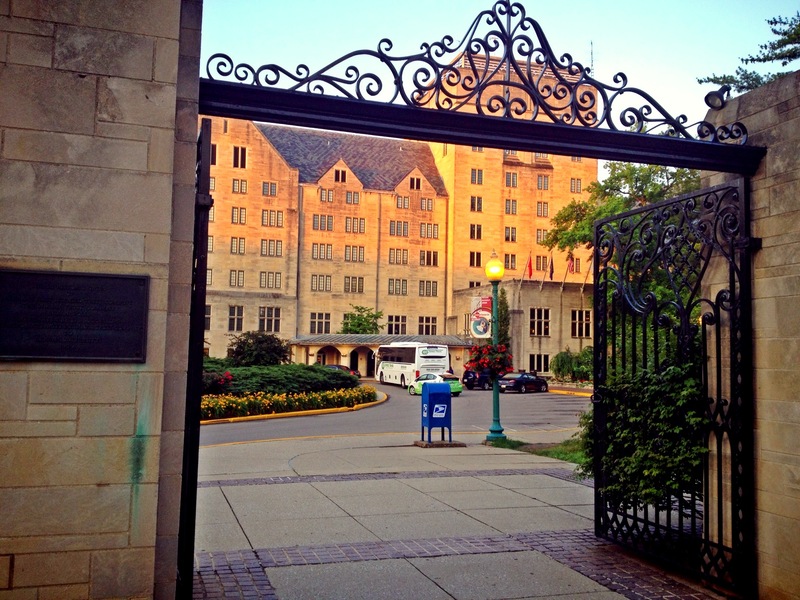 In fact, I placed Indiana University in my recent post highlighting 50 Beautiful College Campuses For A Good Run. I was in the area with my colleagues for our annual staff retreat. The location of the retreat changes each year, but it was great to be located in between Bloomington and Nashville (IN). Seriously beautiful country! 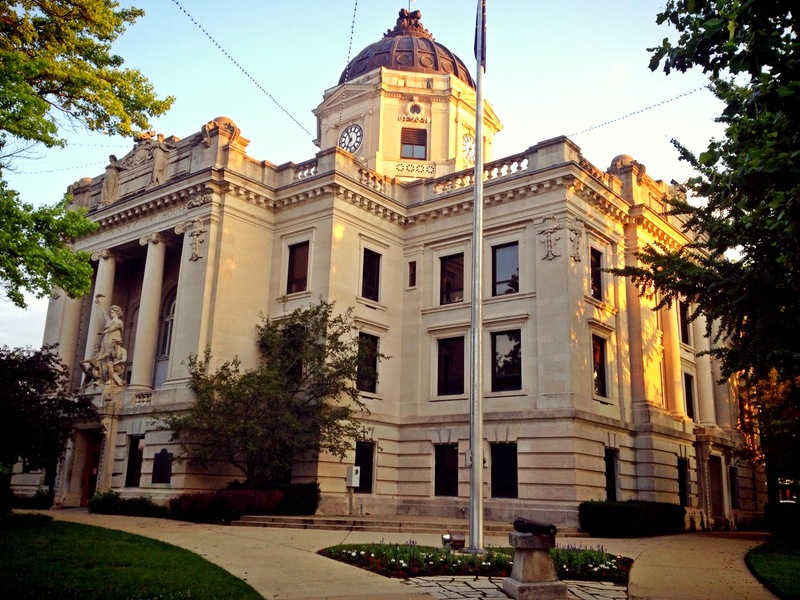 Bloomington is known as the “Gateway to Scenic Southern Indiana” and is one of the largest cities in America without an interstate or freeway expressway. Bloomington is approximately 50 miles from Indianapolis and within 100 miles of both Cincinnati, Ohio and Louisville, Kentucky. Over half of the United States population lives within a day’s drive of Bloomington. Bloomington is located in the heard of limestone country. Indiana limestone has been used around the world, including multiple state capitols, the Empire State Building and the reconstruction of the Pentagon after the September 11 terrorist attacks. Over 90% of Bloomington’s population has a high school diploma and over 80% have a college degree or higher. Bloomington’s tourism industry employs nearly 4,000 full-time equivalent residents bringing home over $51 million in incomes, making tourism the third largest industry in the area! 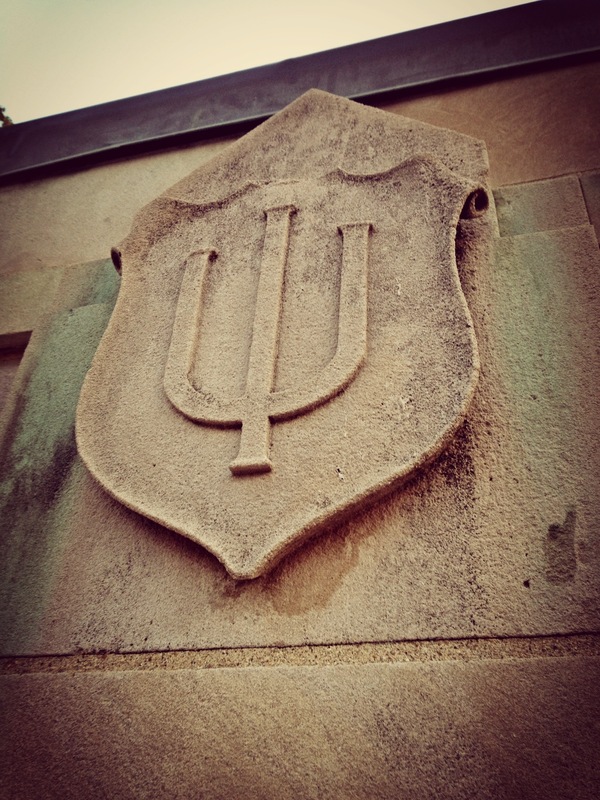 IU was the first Big Ten university to grant degrees, graduating the first class in 1830. 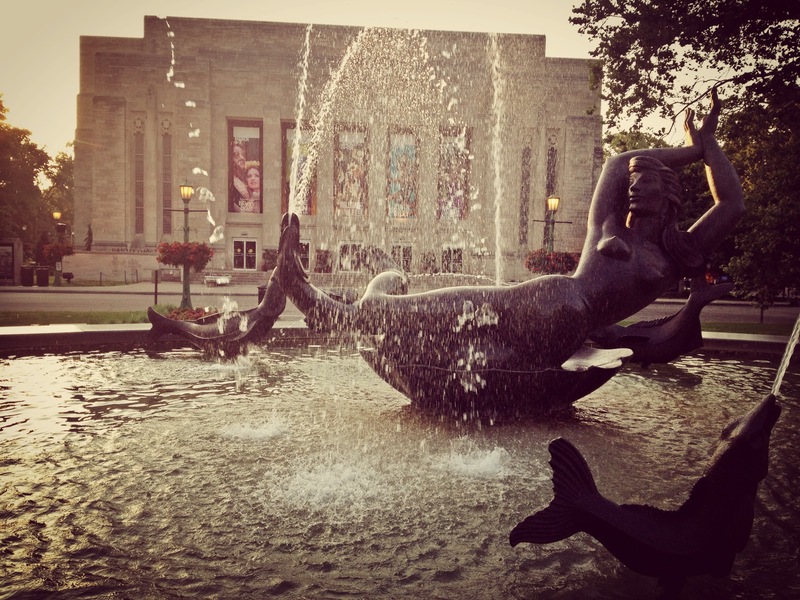 IU was named one of the five most beautiful campuses in the nation by Thomas A. Gaines in his book The Campus as a Work of Art. 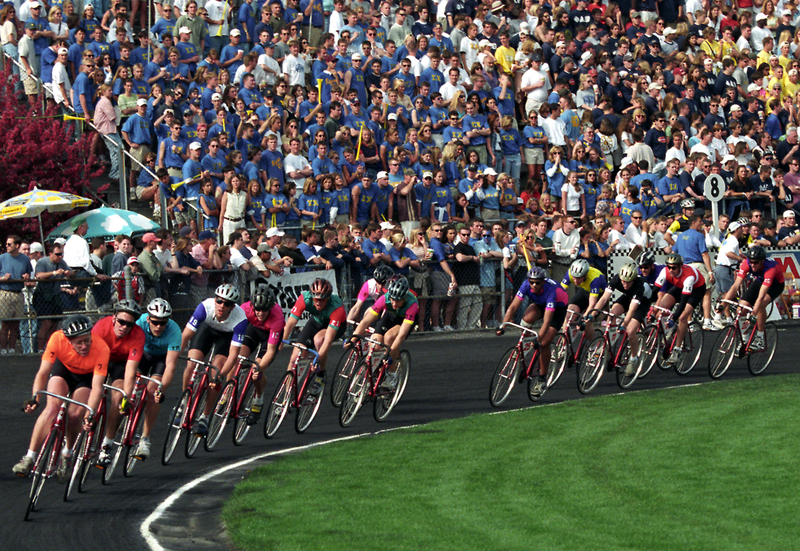 The city was the site of the Academy-Award winning movie Breaking Away, featuring a reenactment of Indiana University’s annual Little 500 bicycle race. A few notable people from Bloomington include Rex Grossman, Mick Foley, John Mellencamp, Scott Rolen, Meg Ryan and of course, Bob Knight. As mentioned before, I have a special place in my heart for Bloomington, Indiana. In 2006, I helped re-establish the Indiana Alpha Chapter of Phi Delta Theta at IU. The chapter was our organization’s second chapter. It was great to be able to spend time in Bloomington, get to know the area and work with a tremendous group of students to lead the charge. Speaking of those students, one of my favorite people from Bloomington is my friend Bryce Fox. I got to know Bryce while on campus, and if you are a Hoosier of sorts, you probably know him from IU’s “This Is Indiana” anthem below. It’s worth a watch, and I get a chuckle every time I watch it. He’s on the left in the video shot below. 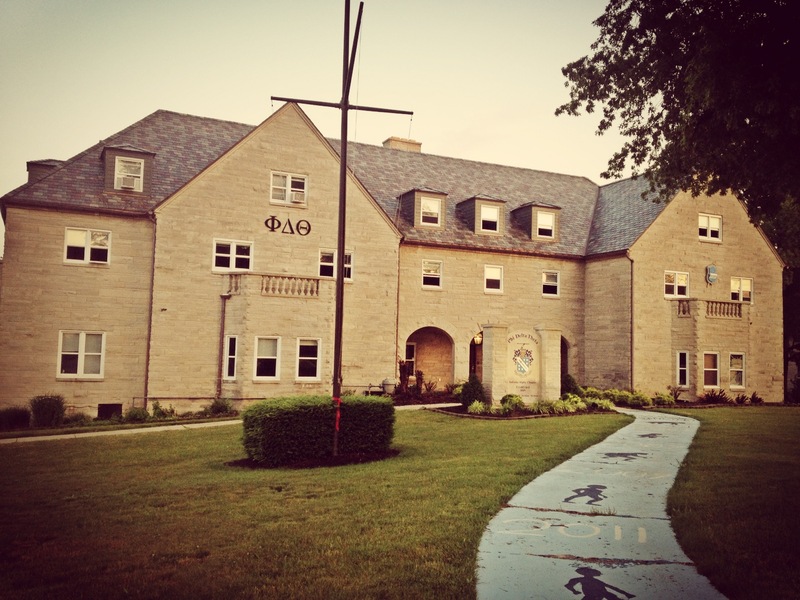 It was only fitting to start my run through Bloomington at the beautiful Phi Delta Theta house on campus. Joining me were my colleagues Jon Rogowski and Michael Boulter. We definitely forgot to take a picture of the three of us! Our run was fairly short given our time frame, but our 6:30am start made for a great start to the day. As mentioned before, Bloomington is a cycling community. 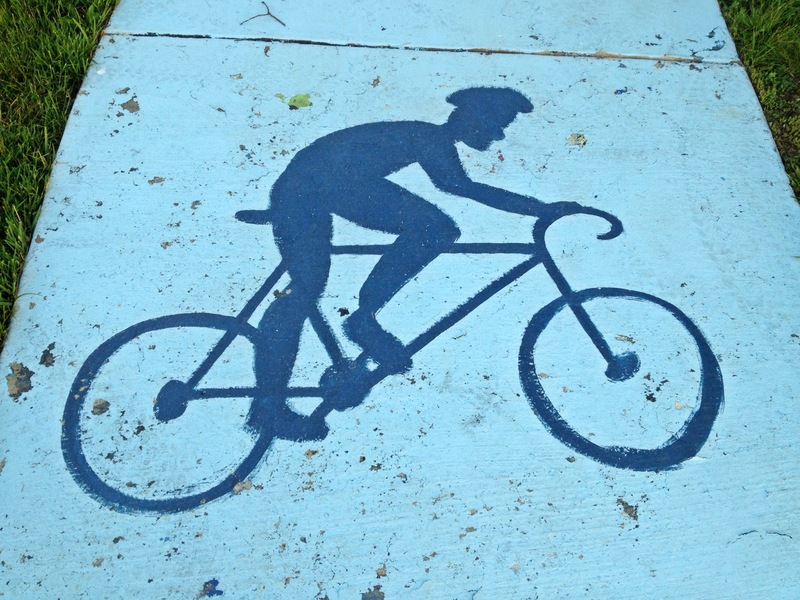 It didn’t surprise me to see some cycling art painted on the sidewalk leading up to the chapter house. Indiana University if home to the amazing Little 500 Bike Race or “Little Five.” The race was founded in 1951 by Howdy Wilcox Jr., Executive Director of the Indiana University Student Foundation, who modeled the race after the Indianapolis 500. Racers compete in teams of four, racing relay-style for 200 laps (50 miles) along a quarter-mile (440 yards) cinder track. Thirty-three teams are selected in qualifications trials to compete in the main race. Money raised by the event goes towards a scholarship fund for working IU students. I had the opportunity to attend the race a few years back, and if you are a sports fan, the Little Five experience should be on your bucket list. If you are a movie buff, “Breaking Away” is a must-see as it captures the spirit of the Little 500 race. From the Phi Delt house, we ran towards campus and made a stop at Indiana University’s huge Memorial Union. At nearly 500,000 square feet, it is the world’s largest student union building under one roof. It is an impressive building. 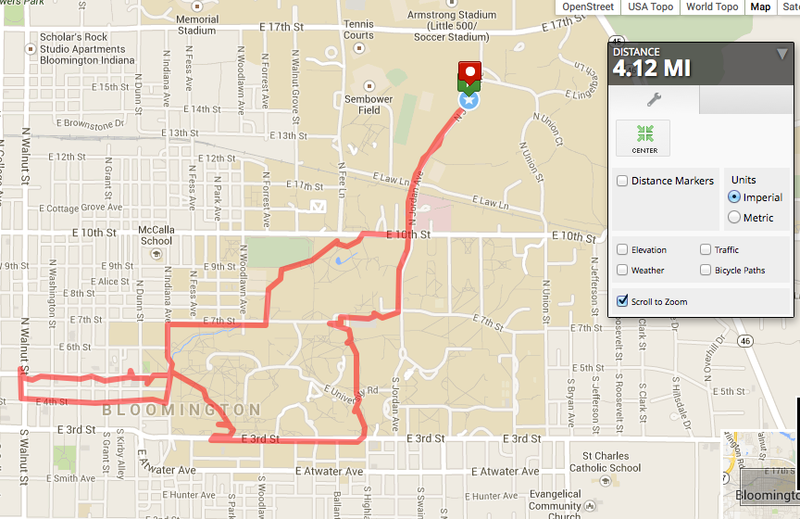 We ran through campus and headed towards Kirkwood Avenue, home to many shops, restaurants, and bars just off campus. 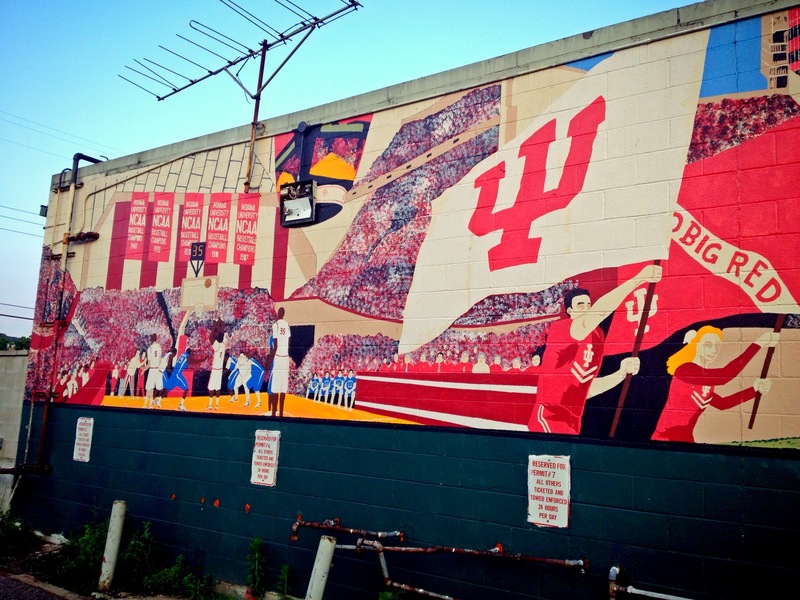 As a fan of murals, I had to stop to capture a picture of the mural on the side of Kilroy’s, one of Bloomington’s most popular establishments. 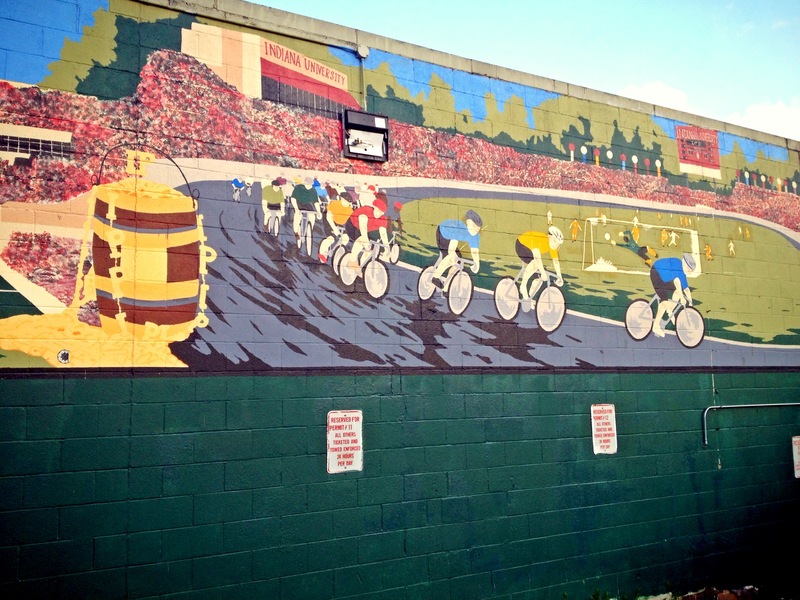 As you can see in the mural, the town is very proud of its cycling and basketball traditions. We ran up Kirkwood towards downtown Bloomington which has a neat square with many shops, businesses and restaurants. 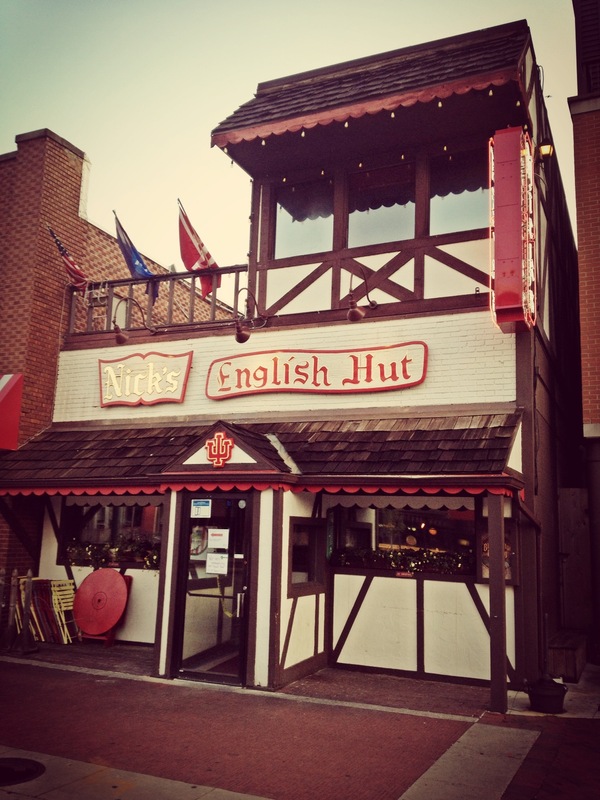 We turned around and ran back towards campus on 4th St., home to an eclectic choice of international restaurants. 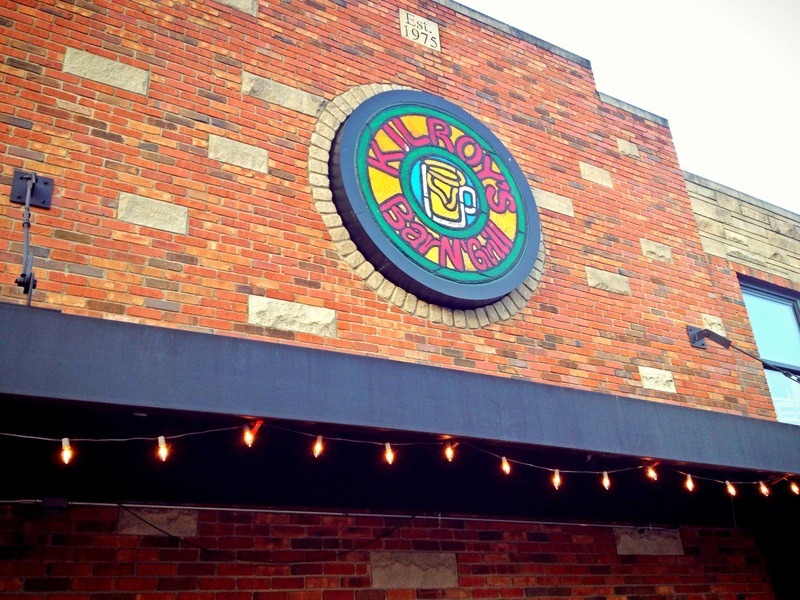 The Bloomington dining experience is amazing with so many choices. 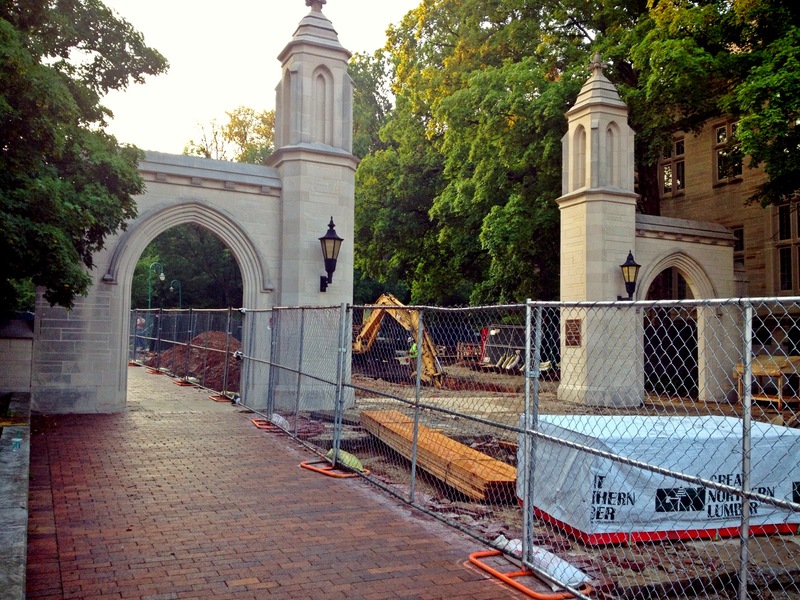 We ran to the IU gates, one of the neatest entries to campus that I’ve seen, but we found it under construction. I guess the summer is a great time to construct. 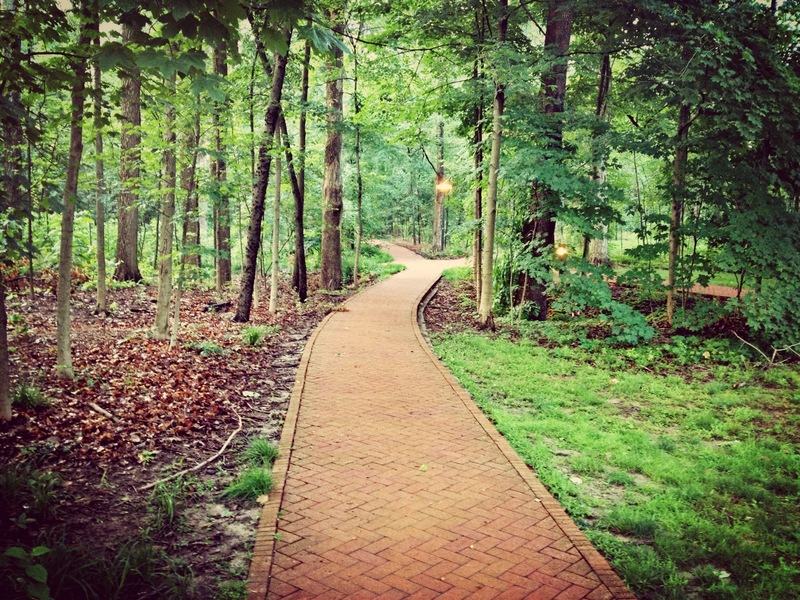 We headed through Dunn Woods on campus, an amazing wooded stretch the only adds to the beauty of the IU campus. 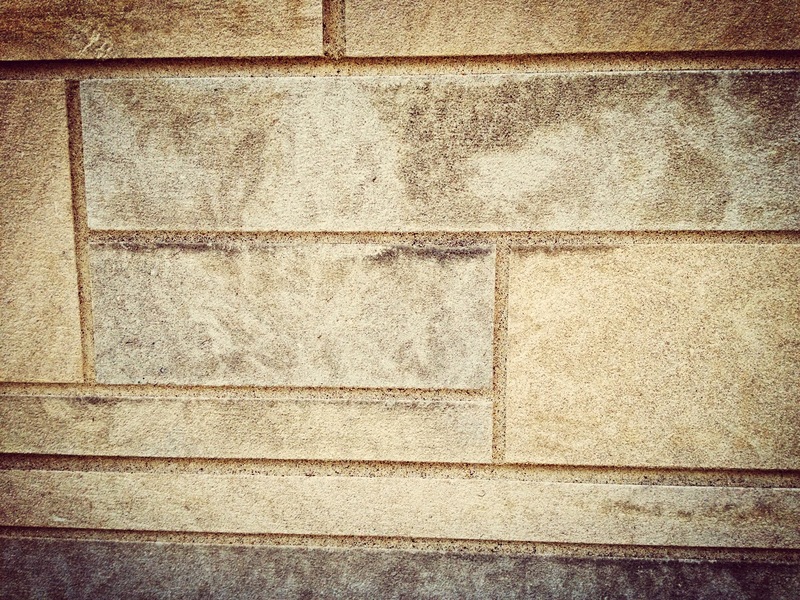 One thing you notice immediately at IU is the consistent use of limestone. As mentioned before, there is an abundance of limestone in the area, and the university shows it off quite nicely. In 1938, during the waning years of the Great Depression and a time when most universities had cut funding for Arts programs, construction began on the IU Auditorium. Indiana University President, Herman B. Wells, used this time to build the world’s top music school, the Lilly Library, the Fine Arts building, and the IU Auditorium. The Auditorium was the first building completely planned and constructed during President Wells’s tenure. It was constructed out of locally quarried Indiana Limestone. The fountains were streaming as we ran past. We ran back to our car at the Phi Delt house, but before heading back to our cabin, we drove past Assembly Hall, where the IU Hoosiers play basketball. 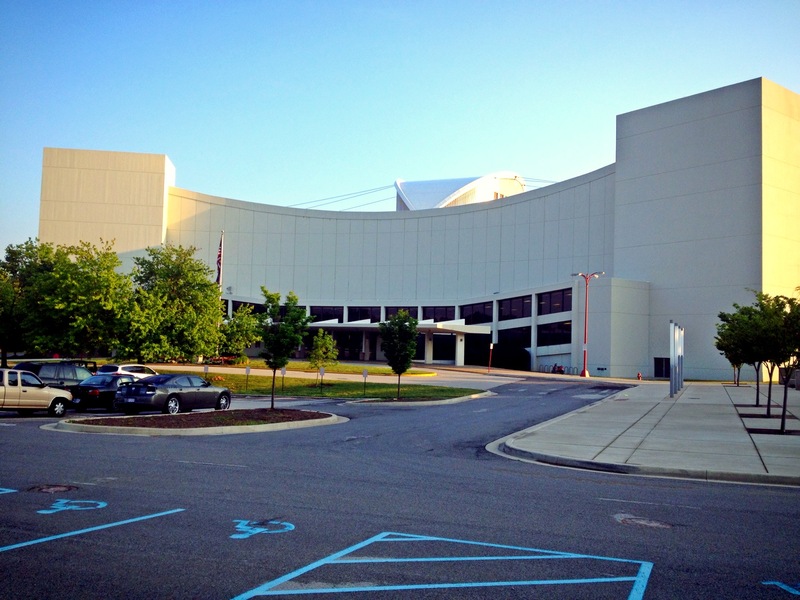 One of America’s historic college basketball venues, Assembly Hall has contributed many memorable moments. There were no chairs outside to throw (a tribute to Bob Knight that we wanted to perform), so we hopped back into the car, grabbed coffee at Scholars Inn, and made our way. While our time in Bloomington was short, we had a blast running through this beautiful town and its wonderful campus.